Snoop Dogg and Shakira have shacked up here. (Not together, I’m assuming.) Italy’s PM Silvio Berlusconi has parked his Pradas in these closets, and His Holiness the Dalai Lama of Tibet has hung his saffron robes. QE2 and her royal crew took over an entire floor. 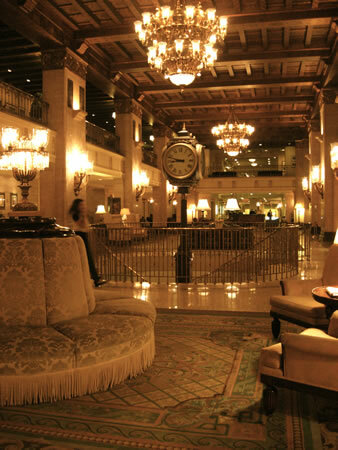 Everyone from world leaders to pop stars has stayed at Toronto’s Fairmont Royal York Hotel. They call her Toronto’s “Grande Dame”. 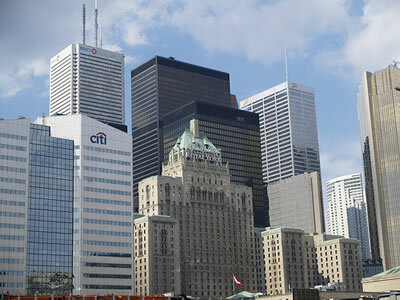 Officially opened in 1929, the original buildings on the site of the Royal York date back to 1843. It’s now a sort of modern heritage site, with one foot proudly planted in the historic British Empire from whence it came, and the other stepping confidently into a sustainable future. When I traveled to Ontario for Northern Edge Algonquin’s Quest for Balance retreat, the kind folks at Tourism Ontario put me up here. Conveniently located across the street from the train station, it seemed like a practical choice for my Ontario Northlander rail voyage to the northern wilds and back. Checking in, I found a lengthy collection of accolades in the hotel’s promotional materials…and it was well deserved. If I was the Royal York, I’d be shouting it from my bucolic rooftops. Here is a hotel that really walks its talk. – The hotel’s recycling program goes beyond just the glass, paper, plastics and aluminum recycling found in my room. It’s a comprehensive program that includes food reclamation and recycling of things you wouldn’t even think of, like plates furniture and toiletries. – In the bathroom, a water-saving showerhead and low-flush toilets, in addition to a hotel-wide water softening system, have reduced the hotel’s water consumption by an estimated 40,000 gallons per month. 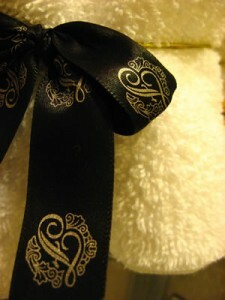 – A full upgrade of all the hotel’s laundry equipment in 2009 brought the hotel a 22% savings in energy. Up on the roof above me, a flourishing organic garden and colony of bees was providing fresh produce and honey to the hotel’s restaurants and my excellent room service splurge. (Lucky me! I got to take a tour of the rooftop garden and beehives – stay tuned for an upcoming post about that.) Also, working with FLAP (Fatal Light Awareness Program), the hotel rewired its roof and installed a split circuit lighting system, which they say eliminates the chance that reflected light will cause birds to fly into the hotel or nearby buildings, a sadly frequent occurrence in developed cities when migrating birds become confused by the bright lights of buildings at high altitudes. The Fairmont Royal York supports the local community through some great community service projects: every day, all leftover food at the hotel goes to local Second Harvest food bank and they donate to supports local non-profits including a women and children’s shelter. This sustainable philosophy is carried throughout the Fairmont’s operations, and I’m impressed with the thoughtfulness and thoroughness they’ve brought to it. Fairmont Hotels & Resorts owns over 60 properties worldwide, each with cultural and historic significance. 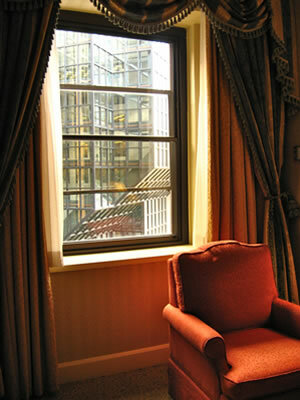 It was the first major hotel chain in North America to embrace environmental stewardship in its daily operations and continues to lead by example. This is the kind of large-scale chain that I will consciously seek out in my travels, and I’m looking forward to checking out more of their properties, such as the Vancouver Waterfront Fairmont, which also has an on-site herb garden and honeybee apiary, and the Fairmont Kea Lani in Maui, where over 50 environmentally friendly initiatives are in place, such as a state of the art laundry water recycling system. My one complaint? High-speed internet access is available in all guest rooms, but you have to pay for it (about $15 CDN) and it’s by hard-wire connection only (no wifi). For a hotel that has an active Facebook page and Twitter account, this came as a surprise, and a bit of a disappointment. But this was a very small letdown in an otherwise completely fantastic stay.